In the wake of smartphone’s soaring popularity, if you are planning to have a mobile presence for your charity, you are not alone. One Today by Google, PocketCause, Waste No Food, Share the Meal,... there is a growing list of nonprofit apps aimed at helping with different causes. With the audiences getting overwhelmed with apps, it’s an arduous job to strike a chord with them so effectively that they stand with you and for your causes. However, it demands no innovation, all you need is to be authentic and trustworthy in your app development endeavor. With the advancement of technology, the expectation of users have increased exponentially. With millions of choices available to them on Google Play, App Store or other popular app distribution platforms, you can’t expect them to waste time with a substandard app that makes them stick. They are going greedier. They want better features, better tools, unmatched performance, better security and much more, but without sacrificing authenticity. 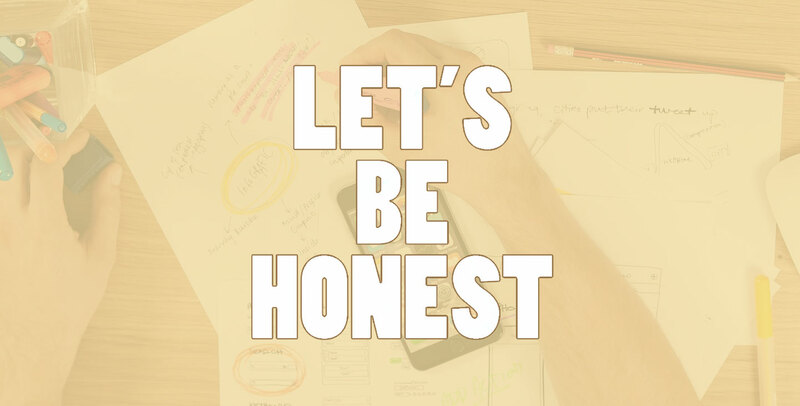 Users want nonprofits to be honest in what they do. Non-profit app development shouldn’t be seen in isolation. It’s an interlocking of different strands, including technological expertise, human perception, and social values. Leave anything out of your app, and risk poor user engagement, bad review, and rating, app uninstallation and dropped fundraising or impact. Interestingly, like a venn diagram in mathematics, there is a distinction between the intersection and union. The former leaves most of the attributes of the participating sets and focuses only on the common area, while the latter focuses on the combination of all. Wondering how to get started? So, while strategizing the non-profit app development, it’s desirable to consider the union of sets in the venn diagram. So, it needs a 360-degree planning as what people think when they are in your app, what they expect, and what they don’t like. How to create an authentic mobile app that is acceptable to donors and volunteers. The mobile app must disclose information validating the legal existence of the charity. This is the primary consideration. Users are interested in information like EIN (Employer Identification Number) of the organization, its financial health, type of tax exemption or benefits they can avail, good governance practices followed, and more. You might think us to be talking irrelevantly at this point in time, as we are a mobile app development company and so should be focused on technological aspects. We admit, but at the end of the day, your success is our success. Users should have a quick and easy access to this information on your app. The UI-UX design of the app matters here. It shouldn’t be confusing at all and must comply with the guidelines issued by operating system publishers. Failing to do so you risk your application being rejected by app distribution platform. Is your app telling clearly as what happens with the funds you raise? If no, it’s high time. Charity Navigator, a nonprofit that rates nonprofits in the US to help donors and volunteers, strongly believe recommends nonprofits be transparent on this matter. Whether it’s your fundraising app or general brand or cause awareness app, sit with your mobile app developers and discuss the best way to showcase what you do with the funds you collect. Make it interactive with textual and multimedia content so that users love to consume it. Just telling what you do and how you do, won’t suffice. Donors and communities you serve want to see the results and impact of everything you do. So, you need a section in your app that showcases all --accomplishments, goals, and challenges -- in an engaging and entertaining way. However, this is a dynamic section where data or content will keep on changing. So it’s better to use some dynamic framework like AngularJS, which facilitates two-way data binding. This results in quick synchronization between view and model. Thus, changes done to the model (backend) gets reflected instantly and automatically to the view (front-end). Now, when you have done everything to build up trust with the users, it’s time to provide them with a quick and easy donation process. Provide multiple modes of donation, and honor their preferences. Suggest your mobile app developers adopt the minimalist principle to keep the donation form as brief as possible. For repeat donors, it must be further simplified. Against the donation made, the app must facilitate an acknowledgment or tax benefit receipt that a user might need. Authenticity is the secret behind all big names in the world economy like Google and Facebook. Creating an authentic app is as much desirable as is creating a high performing and secure app. So, be sure not to get overwhelmed with the tech expertise alone of your mobile app developers. They must have a thorough understanding of the consumer insights and the nonprofit trends.